What celebrities have been spotted in Riche Threads? 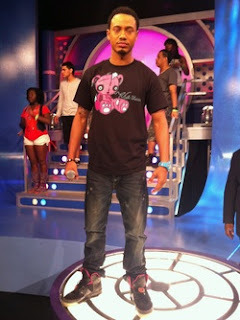 Terrence J of 106 and Park was seen spotted in Riche Threads clothing on a freestyle Friday episode. The inspiration behind the line is aimed at being fly in a very unique, colorful, urban manner. How did it come about? I've had the idea of designing clothes for about 3-4 years but had never been inspired to go ahead with this until November 2010. Where did you get the start-up funds? The funds to start up was basically self funded as well as self promoted. Our look that we look to accomplish is really relaxed but not sloppy. The line is pretty diverse and can be worn by the skateboard society, hip-hop society, or even the clean cut urban society. Urban fashion is in a class of it's own at the moment because its so many different lanes that you may take. 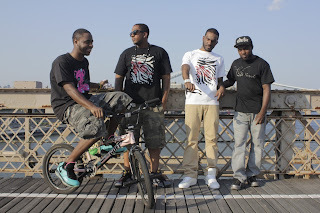 The different types of graphic tees allows you to express yourself without expressing yourself verbally. Are your clothes available in any stores? Where? 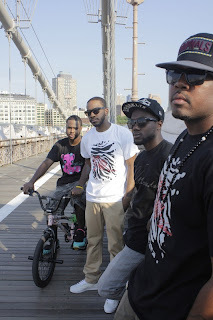 Our clothing can be found at our online store at : www.richethreads.com & in NYC at Black Rose Boutique located in Brooklyn, NY at 517 Franklin Ave. I have never studied fashion but has always had a fashionable eye for fashion. Online promotion is very big for us at the movement because as a growing society online media is seen more as a learning tool to many.